A disarming stranger adopts the appearance of his hosts’ deceased son before sailing with them on an unexpected trip. The loss of the boat coupled with the threat of a bobcat attack forces them to find refuge as re-awakened rivalries reach a fevered pitch. Left alone, the wounded couple confronts the past and their son’s death through newfound compassion. Growing up in the Aspen valley, Danielle got an early start in front of the camera, as her mother was a photographer and constantly had her lens ready in search of the most authentic, deeply human pictures. Filming commercials at a young age, Danielle also grew up riding horses and became a National Rodeo Champion by the age of 13. After playing volleyball, basketball and soccer in high school Danielle pursued a full time career in Olympic Style Taekwondo, and in 1999 won her first international gold medal in Barcelona Spain and also made a bid for the 2000 Olympic Team. In the summer of 2012, Danielle was cast in her first feature film, Teddy Boy, directed and written by Sean J.S. Jourdan and produced by Meryem Ersoz. Prior, she has appeared in several short films, including Push, an official selection of the 2011 Festivus Film Festival, as well as For Better or For Worse. She also made her stage debut in 2011 at the Vintage Theatre in Denver, Colorado in Dinner with Friends for the BDS Showcase. Danielle was most recently cast in the Colorado-based, independent thriller, Table 47, a noted screenplay written by Michael Brody and directed by Jeff Kingery. The movie is currently in post-production. 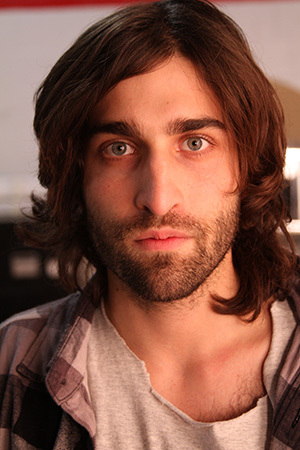 Kevin lives in Denver, Colorado, where he works as an actor and musician. He graduated from Georgetown University (BSBA Finance) and Regis University (MBA). In 2002, he left the corporate world to pursue his dream of acting. He currently studies at Benjy Dobrin Studios. Benjy was trained at The Beverly Hills Playhouse under Milton Katselas. Kevin is a skilled guitarist, a singer, studies Muay Thai kickboxing and is a beginner ventriloquist. In his spare time Kevin enjoys spending time with his German Shepherd, Rapunzel. Kevin truly believes you can change the world through music and acting. Joey Bicicchi first worked with Sean J.S. Jourdan on the 2009 award winning short film The Beekeeper. Joey then went on to write, direct, produce, and edit the 2011 feature film Arthouse Junkies, which Joey also starred in playing an ex-drug addict leading a group of artists from addiction to recovery. In 2012, Joey tackled the challenging role of a neurotic groom turned hero in the horror-comedy feature film Devil In My Ride, which just completed its successful international festival run. Currently, Joey Bicicchi is celebrating the success of William H. Macy’s film Rudderless which just closed out 2014’s Sundance Film Festival.